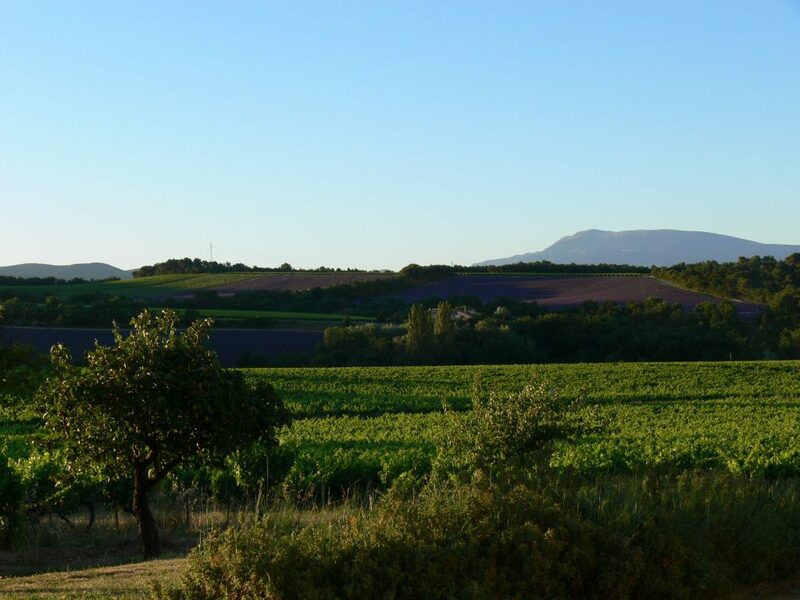 The two photos above are taken from a similar spot looking South East over our vines towards the Mont Ventoux (which is looking forward to welcoming the Tour de France on Bastille day). One was taken a few minutes before sunset last night and one a few minutes after sunrise this morning. You can see how the whole scene changes, even the colours, particularly that of the lavender, are different. 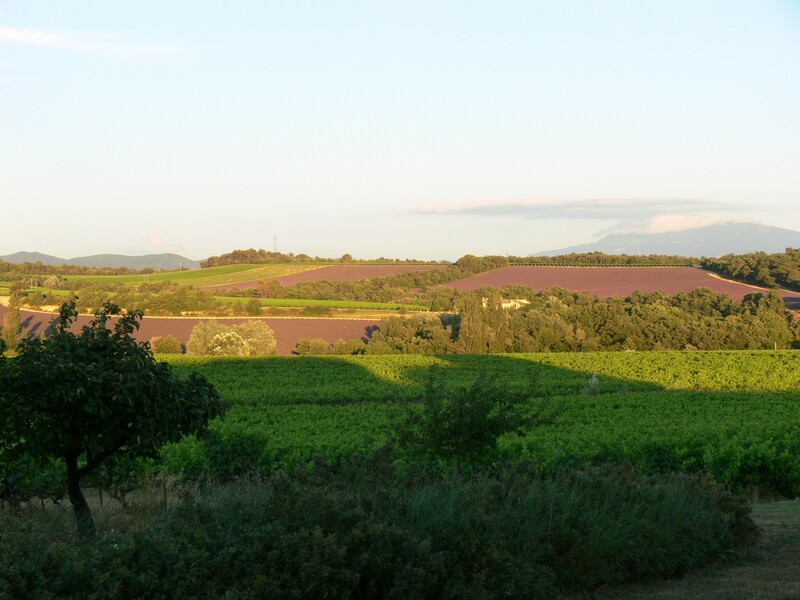 Whilst we are not quite open sunrise to sunset we are now into high summer and so we are open for tasting and sales 15:00 – 19:00hrs Wednesday to Sunday. Of course we are usually here outside those times too so please feel free to drop in then, but best to give us a call first.